If you’ve narrowed your search for car insurance providers down to Nationwide and Progressive, you’ve done some pretty solid comparison shopping. Recognized as two of the highest rated auto insurers by their loyal customers, Nationwide and Progressive built themselves up from small businesses decades ago to now being considered among the top insurers in the country. So, rather than flipping a coin to determine your choice, we’ll give you the full rundown. Why Compare Nationwide vs. Progressive? While Nationwide and Progressive are both wildly successful insurers with stellar track records, they both offer unique pros and cons. Depending on what you’re looking for and where you’re coming from, the story changes. After all, auto insurance is relative, with drivers earning different rates and discounts based on a wide range of factors. 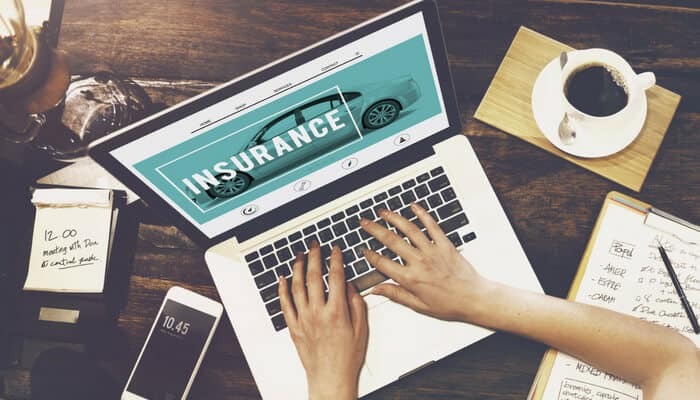 While Progressive is known as an innovative company that draws new customers with an optimized ecommerce solution, Nationwide has its roots in rural America but has evolved to be a much more forward-thinking car insurance provider over the past few decades. Nationwide is known for being active in the community and giving back to its customers. From helping its home city of Columbus, Ohio draw the NHL’s Blue Jackets to sponsoring the professional golf tour that bears its name and supporting farmers across the country, Nationwide earns fans for more than just its insurance products. Founded in 1925 when the Ohio Farm Bureau Federation incorporated the Farm Bureau Mutual Automobile Insurance Company, the company began with just 1,000 policyholders. As of May 2018, Nationwide Mutual Insurance Company sits at No. 66 on the Fortune 500 list and boasts more than 30,000 employees. One of Nationwide’s most popular programs, and one that gets plenty of commercial play, is the Vanishing Deductible incentive. The program works like this: for very year that you maintain a safe driver status, you reduce your deductible by $100. That’s one of the reasons that Nationwide is able to maintain a 95% customer satisfaction rate, with nine out of 10 customers who filed a claim stating that they would recommend the insurer to friends and family. Another reason is the On Your Side Review, which provides an agent who will walk you through the various coverages and discounts available. Progressive may be the most appropriately named car insurance company. Having built a reputation as a pioneer thanks to everything from its innovative discount structure to its intuitive website, Progressive embodies state of the art when it comes to auto insurance. Since being founded in 1937, Progressive has worked its way to sponsoring the Automotive X Prize, a race to build the first car to make 100 mpg fuel efficiency a reality. Progressive knows how to treat its best customers right. For example, the car insurance company’s Auto Insurance Loyalty Rewards program rolls out the red carpet for its most loyal driver benefits such as accident forgiveness and other preferred services. Serving more than 13 million policies with a savvy team of 30,000 agents, Progressive uses a number of outside-the-box programs to attract and reward its drivers. This includes Progressive Snapshot, where drivers determine if they’re eligible for safe driving discounts by participating in a 30-day trial. During this test drive, they plug in a tiny device that tracks driving data. If drivers are determined to be eligible, they can save up to 30% on their policies. Nationwide vs. Progressive: Which One Works for You? Nationwide and Progressive are two of the giants of the car insurance industry. They both started small, having pulled themselves up by their bootstraps before riding high in the Fortune 500 list. Their customers love them, industry analysts love them and now it’s time to see if you love them, too. You now have the keys to make the right decision. So compare auto insurance quotes knowing you did all your due diligence, and that it’s tough to choose poorly when it comes down to Nationwide and Progressive. You did your homework – choosing is the easy part.